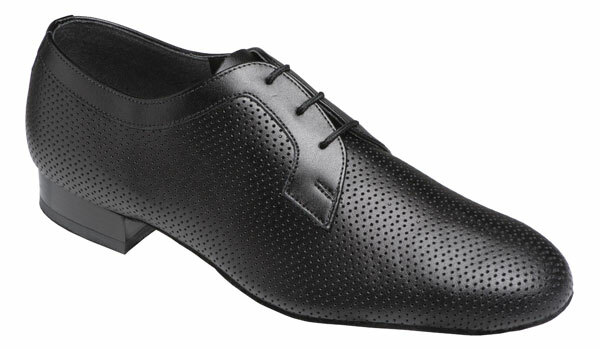 New Mens practice shoe in a softer Black perforated leather. Suitable for practice and social use. Regular or Wide fittings. New Impact Absorbing Low Heel. UK sizes 5 - 12 inc. half sizes.